Destination Libya! One of the best places to experience in Africa, it is situated in the northeast coast and where lies a big part of the Sahara Desert. Libya is bordered by Tunisia, Algeria, Niger, Chad, Sudan and Egypt. Known as an ancient civilisation, Libya has a population which varies around 6.2 million of inhabitants whose number of inhabitants is expected have a positive growth within the beginning of January 2017. WHAT ARE THE BENEFITS OF WORKING WITH AN EMPLOYER OF RECORD LIKE AFRICA HR SOLUTIONS LTD? • Africa HR Solutions Ltd offers very effective solutions for temporary and permanent employment in Africa. • Africa HR Solutions Ltd will make your outsourcing procedures an easy way to hire employees from other countries. • Africa HR Solutions Ltd will take charge of all your Human Resources Administration functions while you keep the operational management of your employees. • Africa HR Solutions Ltd will offer local services such as new bank account, first accommodation, car rental, etc. Tripoli is the official capital city of Libya and the largest town of the country as well. Found one of the best natural harbors in the north of the country, Tripoli looks like a modern and antique city. The rich cultural sites and historical inspirations will leave visitors and expats breathless. Arabic is the official language of Libya but the Tamazight which is a native language is also widely-spoken as well as English and Italian. The Libyan’s economy is all about the energy sector who’s a predominant industry in the country, representing around 95% of the export earnings of the country. The sales of crude oil and natural gas has helped the country to boost the country’s economy up. It is now a Top oil producer across the country. The agricultural industries which is among the main industries as well employ more than half of the population. Cash crops such as cereals and others are grown and cultivated for domestic purposes. Applying for a work permit may be done whilst in the country or before the contractor is deployed in the said location. Africa HR Solutions Ltd ensures that the contractor obtains the work permit in the correct way to ensure that he/she is not disrupted by local authorities in any form once the work process has commenced. We highly advise the contractor to directly apply for a work permit before entering the country. The process of obtaining these various documents is very difficult however Africa HR Solutions Ltd ensures that the process is done with utmost efficiency to ensure that the contractor is deployed in a timely fashion. 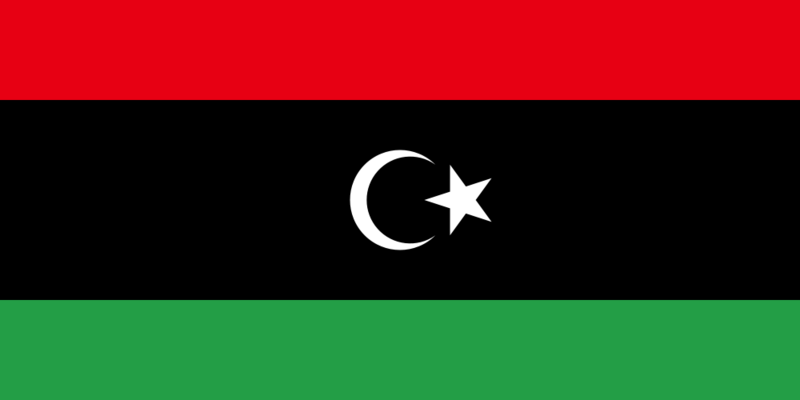 Libya was an Italian colony from 1910 through 1947. The official language today is Arabic and a little English and Italian are also spoken especially in the cities.